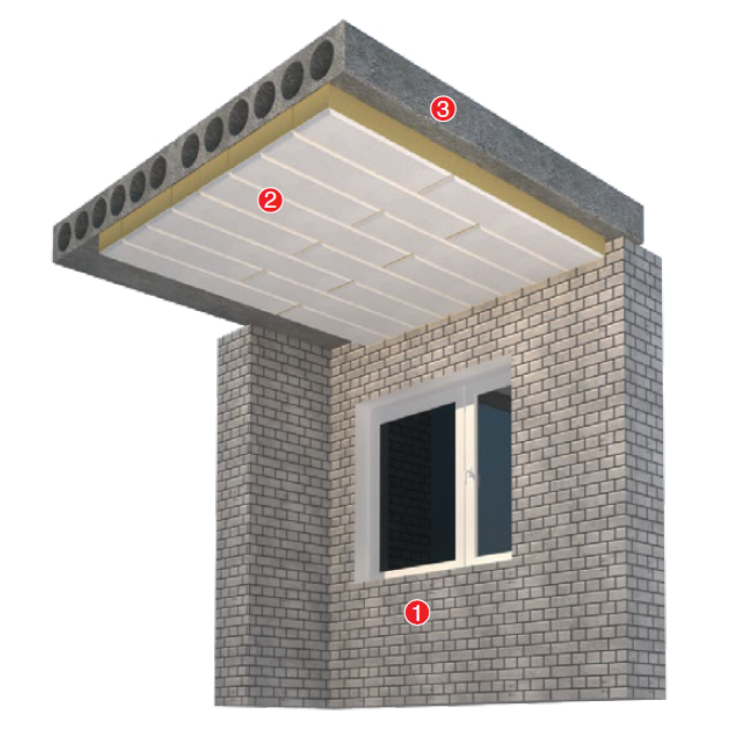 Izovat 100 LF system is designed for fireproofing of reinforced concrete ceilings of basements, parking, garages. 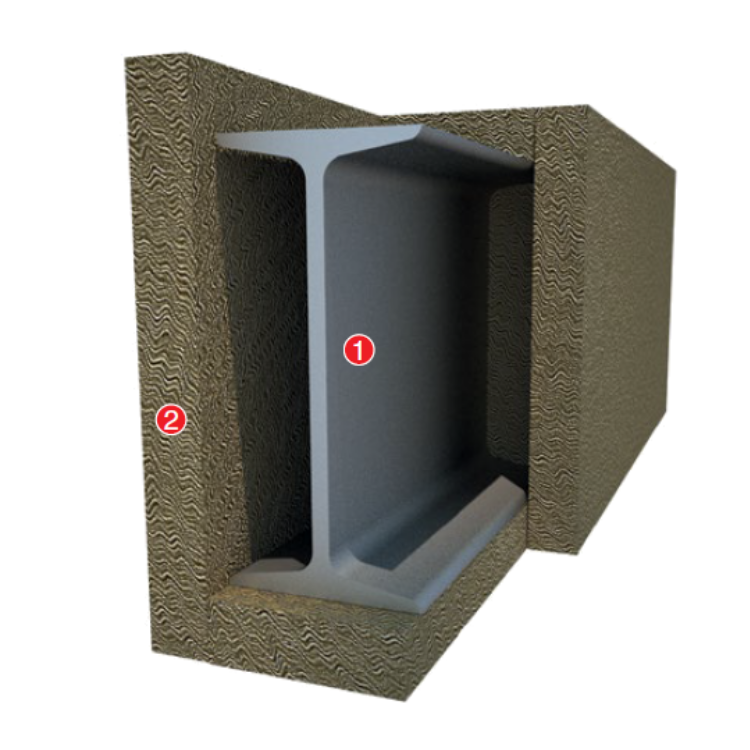 The system suggests effective soundproofing and thermal insulation. Lamellas Izovat 100 LF has chamfers on the front side and painted with white fireproof paint. Such solution allows to achieve a decorative effect. Izovat 160 system is used for fireproofing of metal constructions of different in shape, size and cross-section. The system provides fire resistance limit of metal structures from 30min to 240min. To the building structures Izovat 160 boards are fixed by means of a refractory adhesive. 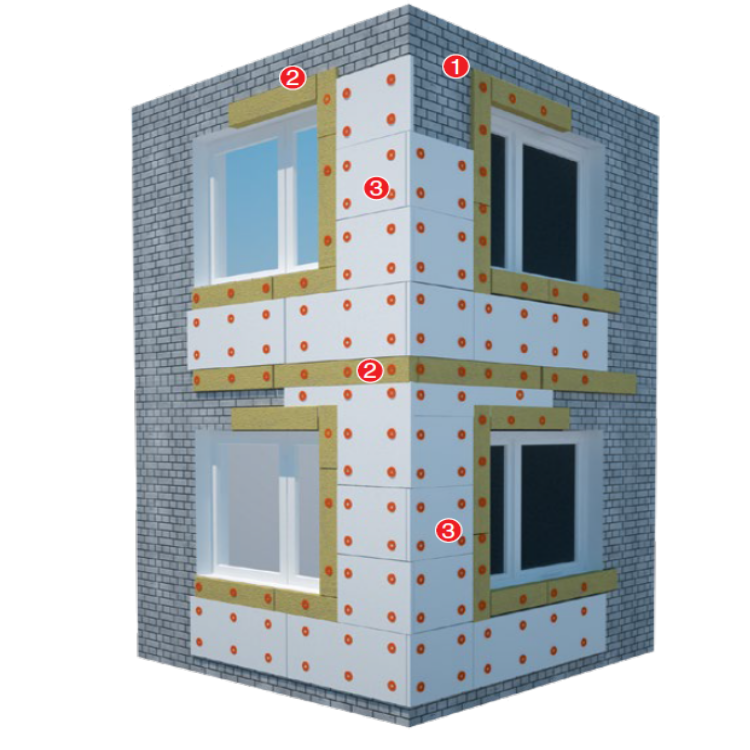 In case the façade insulation is performed by EPS materials, framing of the windows, doorways and belt of the building are performed by Izovat 90 L lamellas. Izovat 90 L lamellas should be installed with the help of adhessive and the plate dowels.